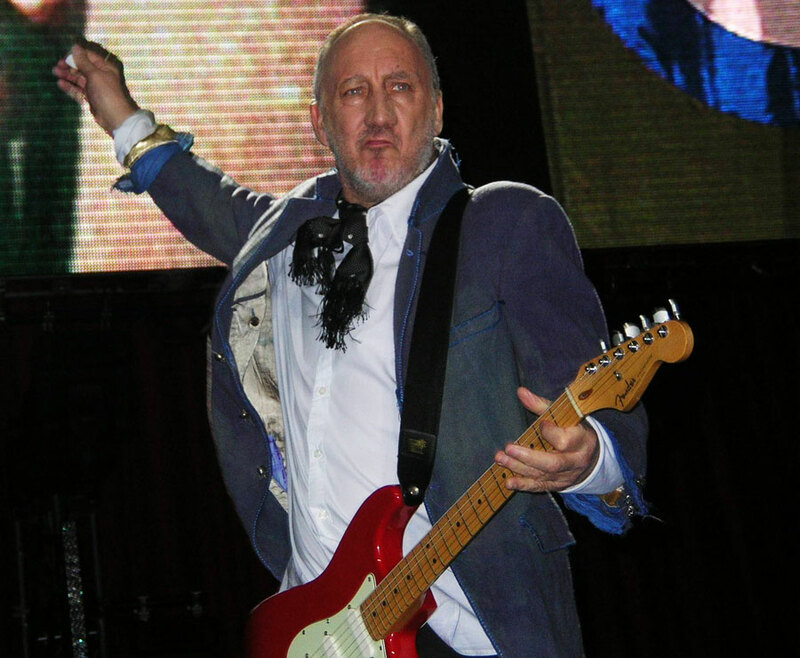 Pete Townshend is famous for taking the incredible musical work he has created as a composer and recording artist, and bringing it to the live stage where the songs continue to grow and evolve into a life of their own. His physical acrobatics and aggressive guitar style while performing with The Who are legendary, and the full force of the band bring an explosive power to his songs, earning them the recognition as the greatest live rock and roll band in history. Pete’s solo performances show a different side of the composer, stepping to the center stage to present his songs in a gentle acoustic setting or with large ensembles complete with horn and string sections. His solo interpretations of his songs are equally as powerful as The Who, as they reflect the emotional context of the composer singing in his own voice. Presented in this gigography section is the complete history of Pete's solo concerts performed in the 70's through the 90's, and his Classic Quadrophenia shows from 2017. There is also extensive concert pages for all of The Who's shows performed since 2012, which feature thousands of photos, reviews, setlists and videos. The history of Pete's performances on the In The Attic web series and Attic Jam road shows can be found on our ITA pages.